Hey guys, hope all well. Hope this is the right place. Long time gears fan. Been playing gears 4 and having issues with ribbons. 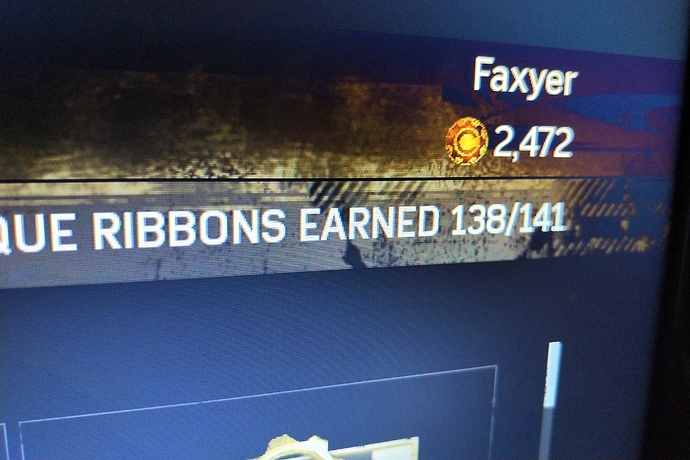 I have 138/141 ribbons but no achievement? The only three i don’t have are the ones which stated arnt needed. ole, kill with each weapon in arms race, and revive all members in team on a single round. No, you should get the achievement. I’d double check each individual ribbon, but if not perhaps doing the Arms Race ribbon “ Smorgasbord” (very easy on Co-Op Vs AI) might pop the achievement. Hopefully will pop with the extra one.